Joe will sell your house in 4 to 14 days! Ask him to show you how! The National Association of REALTORS conducted a survey and found that 72% of home sellers hired the first agent they interviewed. Maybe that is why so many sellers fail to sell on their first attempt, or even worse, sell their home for less than they would get had they used a strong, digital home selling plan. It doesn't have to be that hard, and you don't have to give your home away either! Let Joe help. Tell Joe who you are, he'll reach out to you to set up a time to simply talk about the sale of your home. 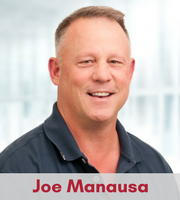 No strings attached, use Joe Manausa Real Estate to start your home selling preparation, you'll be glad you did!